The latest Upgraded Life Talks: Make an Impact! -event on Wednesday September 19th was all about how startups can drive positive impact in the world, and how positive impact is becoming more and more important in the eyes of the customers as well as the investors. We were glad to see a diverse group of startups, investors and other players of the industry gather around this topic at Vertical’s event space at Maria01. During the evening, we enjoyed keynotes by Teppo Havo (Danske Bank Finland) on the impact investment sector and their +impact programme and by Marketta Gland (United Nations Technology Innovation Lab Finland) on how the UN, private sector, academia, startups and the civil sector can work together in the solving of global challenges. In case you couldn’t be present at the event, here is a brief summary of the content of the event. What kind of impact is your company having on the world? Today it’s not enough to have a good product to succeed. The impact your company or product is making in the world is becoming more and more important in the eyes of the customers. In addition, embedding positive impact into your core strategy will not only lead to scalable and greater societal impact but is also proved to lead to greater shareholder returns in the long-run. Now also investors are paying more attention to the impact of a company and a new field of investing – impact investing is rising. The United Nations’ Sustainable Development Goals are a universal call to action, and one of them is ensuring healthy lives and promote well-being for all at all ages – so the work of health and wellbeing startups is already in line with the Global Goals! The first keynote speaker of the event, Teppo Havo from Danske Bank gave us a short introduction to the Finnish impact investment field and to their +impact programme. In the banking life it is usually all about money. Or so it was before; now the investors have also realised, that there is more to business than just money and the impact investment field in Finland is growing! For example, Danske Bank has decided to look deeper, rather than judging a company only by their financials. Last spring they entered the impact scene by incorporating the UN’s Sustainable Development Goals into their interests and they have done a lot of work in mapping the impactful startups & investors in Finland & the Nordics. 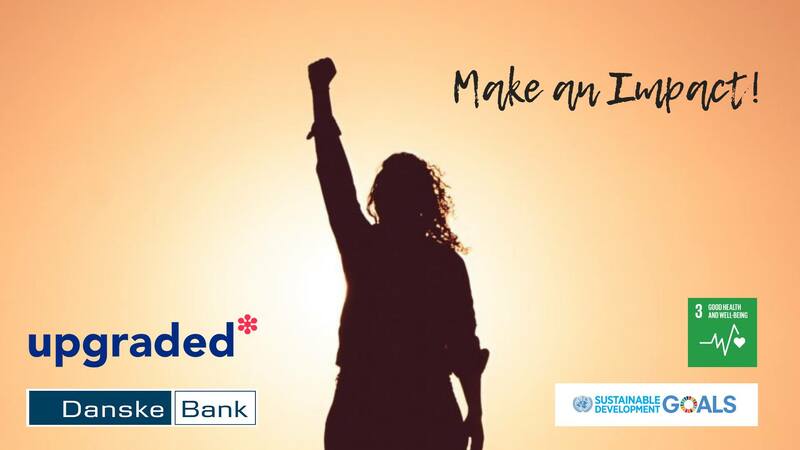 +impact is a free platform by Danske Bank, aimed towards helping startups, who need help in their work in solving the global challenges set in the UN’s Sustainable Development Goals. In the platform, startups can create a profile and post the challenges they need help with, in order to develop their business and reach their goals. The platform is welcoming startups from Sweden, Denmark, Finland and Norway. Individual experts can join the platform by selecting a challenge that matches their interest and area of expertise. Both the startups and the experts are then reviewed and possibly matched, if they are a good fit. After the match is made, it is up to startups and experts to align on how & when expert advice is given. What is United Nations Technology Lab – UNTIL and how will it support the startups? Next up, Marketta Gland from UNTIL Finland came to educate us about United Nations new Technology Innovation Lab centers. Marketta noted, that we are in the middle of the fourth industrial revolution and new technologies have changed virtually every industry in the world. The UN believes that new, emerging technologies and innovations will bring solutions to world wide problems such as global warming. The clock is ticking and UNTIL wants to leverage emerging technologies to transform societies, nations and the humanity as a whole. Each UNTIL is based on different humanitarian themes that are central to the needs of each individual Labs specific geolocation. The Labs will use AI, Blockchain, IoT and other high-tech tools to develop technology solutions that will be open source and avaiLable globally to all Member States once operational. The first European UNTIL Lab is based in Finland and hosted within the campus of Aalto University, in A Grid startup hub in Espoo. The UNTIL Lab will function as a start-up environment and create a platform for collaborative problem solving between the government, academia, NGOs, the Private Sector and the whole UN Technology Innovation Lab Network. The Finnish government with other local stakeholders have identified four core thematic areas the UNTIL Finland lab technology projects will focus on: Peace & Security, Education, Health and Circular economy. 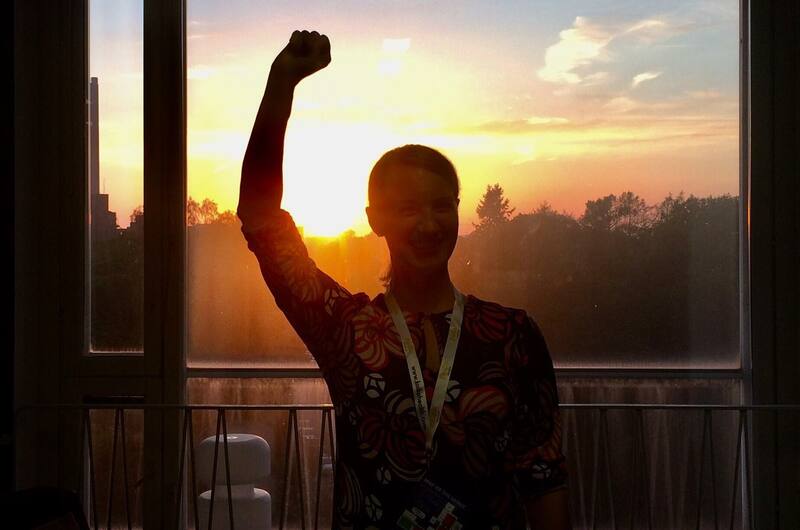 At the moment, according to Marketta Gland, who is now the first and only staff member in UNTIL Finland, the lab itself is also in a startup phase of development. They are working in their program and looking for funding and partners, big and small, to work with them. If you are interested in technology innovations and eager to solve global problems, go check out their website or visit UNTIL in A Grid! NB! UNTIL is recruiting people for each target area of the lab! Upgraded is actively working towards a vision of Finland being the best place in the world for health innovations, thanks to the dynamic and well-functioning ecosystem. For example, in order to be able to give the best support to the startups, we conducted a vast research regarding the challenges health startups are facing and published these results in the finnish health startup industry report 2017 (and we’re going to keep doing this every year!). In addition, we have mapped out the health ecosystem in the Helsinki region and visualized this in the form of an ecosystem Metro map for startups – a visualization we’re expanding to cover the whole country in the near future. These are just few examples of what Upgraded is and has been doing – to get more info on our goals, services for startups and our Grand Master Plan regarding developing the ecosystem, please read more here. Anyone can make an Impact and be the change they want to see in the world!